"A warm, made-from-scratch treat! Cocoa leads to a bittersweet chocolate taste and the coconut milk adds a hint of richness." Stir coconut milk beverage, cocoa powder, sugar, vanilla extract, and cinnamon together in a saucepan over medium heat until cocoa and sugar are completely dissolved and mixture is heated through, 5 to 10 minutes. 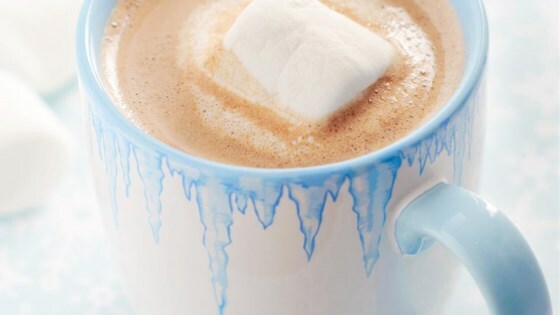 Pour hot cocoa into a mug. You can use any variety of milk (soy, rice, coconut, dairy). If you are using an unsweetened milk base, add additional sugar to taste. The cocoa was good. It wasn't bad at all.